Are you already looking for a campsite where you can spend a pleasant holiday at a low price, in a region that meets the expectations of the whole family, whether young or old? Welcome to Camping La Fage! Because coming to Périgord Noir means enjoying the historical and cultural heritage, but also the many outdoor activities, our campsite offers you to reduce your accommodation budget in low season to make the most of the visits to the surroundings and the golden triangle of Périgord! 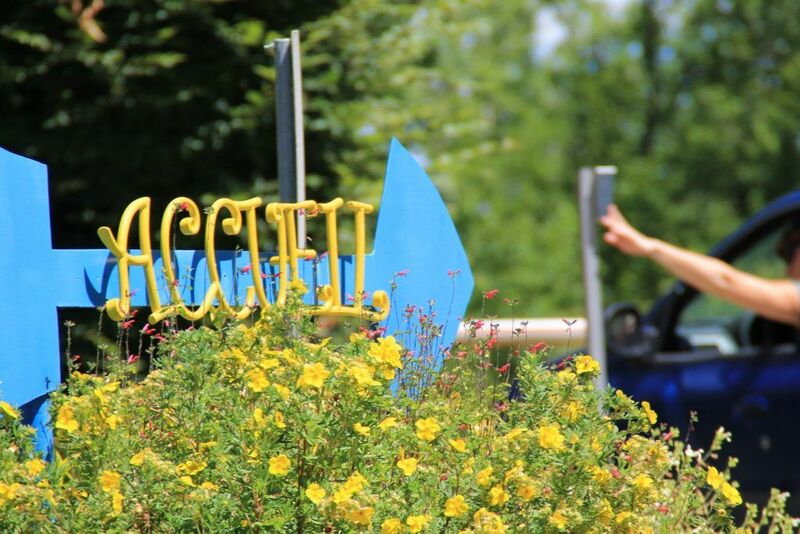 Choose from the various low-cost accommodations at our campsite in the Dordogne, near Sarlat, the Lascaux caves, and the new international centre of Montignac Lascaux parietal art. The amount of the tourist tax is 0.50€ per day and per adult. Please note: in case of renting a fan, cot, high chair, fridge and barbecue, a deposit of 10€ will be requested and kept if the rented equipment is made broken or not cleaned. Up to 40% discount for a stay with a couple or family near Sarlat! This year, the camping team has chosen to please its customers! You have a small budget, and would like to limit your expenses? In parallel, you can consult our special offers and last minute offers, and book online on our secure platform. For people on a small budget, who want to stay a few days in the countryside, in an exotic and peaceful setting, think of our campsite, which includes all these elements and which will also seduce you by its geographical location in relation to the sites to visit. In low season on the campsite, take advantage of our offers: 14 days = 11 days charged on a bare pitch or 7 days = 6 days charged as a rental. We remind you that the tourist tax is now only due for people over 18 years old. 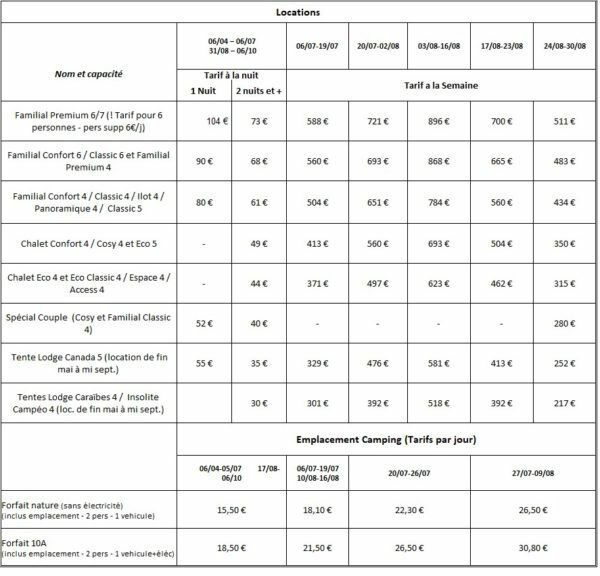 Camping la Fage is a partner with ACSI, this organization allows you to benefit from a discount on the rental of a camping site. Indeed on presentation of your ACSI card a preferential rate is proposed to you, this includes the rental of a plot with electricity for two people. The tourist tax is not included in this price. For 2019, the rate is 13€ per night, a cheap holiday in the heart of the Dordogne at camping La Fage. Our establishment is also approved by the National Association of Vacation Vouchers ANCV. Your employer takes care of part of your holidays in the form of holiday vouchers, so do not hesitate, this means of payment allows you to pay all or part of the amount of your stay whether in a tent, caravan or rental. Regarding the payment of the deposit, we strongly recommend that you send it by registered letter. Do you benefit from CAF support for your holidays? Our partnership with VACAF allows you to benefit from this assistance during your stay at Camping La Fage. When you make your reservation, let us know your VACAF number and the fund on which you depend and we will prepare the care file. You then only pay the part that remains your responsibility. However, it is highly recommended to take out cancellation insurance. Camping La Fage suggests an innovative gift: the holiday gift voucher. Ideal if you want to please people around you or a couple of friends for example, who rarely take a few days off to rest or get together with their family. How to book a gift voucher? Just contact the campsite reception and choose the amount of the stay you would like to offer. After validation, we will send you back a gift certificate corresponding to the amount requested and valid for 1 year. The person who receives the cheque will contact us in return to choose his dates of stay according to his availability. *- in July/August weekly gift vouchers, and from Saturday to Saturday or Wednesday to Wednesday only (for some rentals – contact us).